Despite globalization, Japan is still very far away from us, especially when it comes to customs. Easy to go wrong in these cases, and although most of the time the error is not so severe as to cause irreparable consequences, know the customs and traditions of the country that you are visiting, it is a sign of attention and respect. Especially in Japan. Walking on the wrong side of the road. 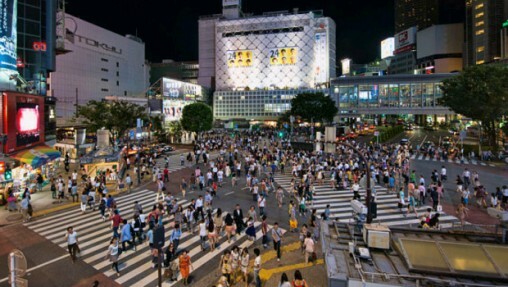 Although Tokyo is one of the most densely populated cities in the world, here also the crowd is ordered. Pedestrians, even on wider sidewalks, follow the tacit rule standing to the left, even when it would not be necessary. On escalators in Tokyo the rule becomes even more complicated: it is necessary to stand up to the left, but if you want to walk, you must do it right. Call a sexual organ with his own name. Pronounce the proper name, the linguistically correct, a genital organ, especially women, is one of the most serious taboo by violating Japan. A polite Japanese uses the term “asoko”, which literally means “there, that place”. The beauty is that everyone understands the meaning. Touch. If you think that some form of physical contact helps the relationships between people, in Japan at least consider it strange. Unlike Westerners, the Japanese do not like to share their germs when greeting. Leave the tip. Forget the tips in Japan! Leave a tip only creates confusion. If you let it, then do not be surprised if the waiters will chases, even in the street. Blow your nose in public. The Japanese do not like to blow your nose in public, or worse, to see someone blow in front of them. It is not that they are immune to cold, just prefer sniffling; those parts is perfectly normal, and no one pays any attention. Pour soy sauce over white rice. Although for us the white rice and synonymous with intestinal flu or “hospital diet”, even if we don’t like white rice, better not add sauces, so as not to offend our host. In this case the solution is simple: pour the sauce over the other dishes, eat, and immediately after eating the rice. Cross your legs. Crossing your legs is considered a gesture very informal, not correct, even if you do it in the most polite and graceful as possible. In Japan, you should try the experience of the “seiza”, a form of traditional Japanese sitting (in the knee), according to some, invented to torture foreigners. Eat on the street or on the subway. In Japan eat when walking is considered disrespectful to those who prepared the food. Even when ordering from vendors, the Japanese expect than food is eaten there on the spot, or alternatively, that it is brought to home.